Marks on rough and smooth, wet, oily, or dusty surfaces. Most cost effective permanent marking solution. 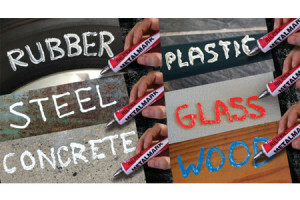 Marking for steel, welding, rubber, tyres, plastic, fabric, wood, concrete, glass, and roads. Weather proof, fade resistant, heat resistant, quick drying. For product identification, colour coding, stock control, security, or asset verification. Used in industries such as engineering, steel and allied, mining, oil and gas, welding and brazing, fabrication, tyres, roads and railways, logistics, stationery, utilities, and tool and die. 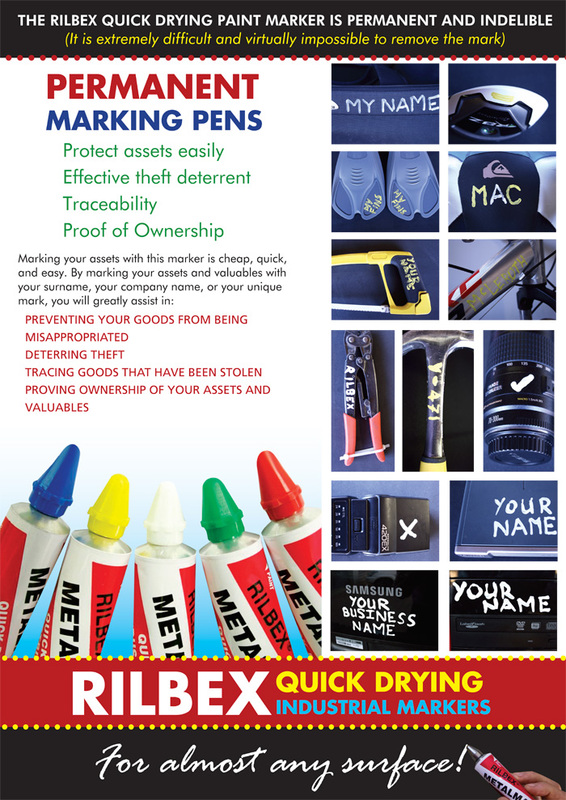 Permanent marking for your property.